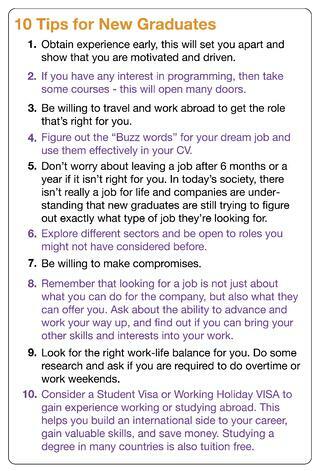 Being a scientist in my late 20’s, new graduates often ask me for advice on careers available to new science graduates and the pro’s and con’s of working in different sectors. Luckily, I have worked for a variety of different organisations, so I tend to provide them with an overview of my experience and how I felt about the different positions to enable them to decide for themselves. Here is my experience looking for the perfect job. After graduating with a 2:1 BSc in Molecular Biology (roughly a B average in the American system), in 2009 (at the beginning of the financial recession) I knew obtaining work in scientific research would be very competitive, and so I applied for a summer role as a Research Scientist at the Institute of Cancer Research in Sutton, located on the edge of London to gain relevant experience. I applied for this summer position as I felt I needed more practical lab experience to later gain a full time position in a lab. I worked on the genetics of Wilms Tumour, which is a type of pediatric kidney cancer. This was particularly interesting as I had just completed my thesis on the study of e2Fb, which is a tumour suppressor. This summer role was incredibly valuable because it was a set duration of only three months and made a good job to list on my CV. Three months was a perfect duration for me because it was sufficient to figure out if my image of lab work lived up to reality, and, if it is wasn’t a good fit for me, then I didn’t need to explain why I changed jobs. I highly recommend taking on a similar position in your field of interest before you dive straight into a full-time position. 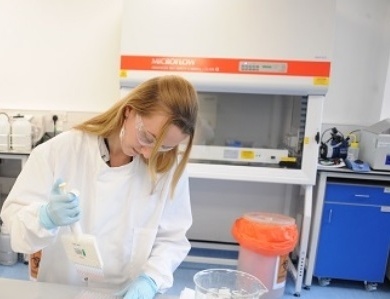 For my part, I really enjoyed some aspects of the work, such as physically carrying out experiments like PCR and running gels, but in research you also experience a lot of failure and problem solving. I believe that is something lacking during degree courses; they never really prepare you for the amount of failure and problem solving scientists experience during research. Once this position ended, I wanted to explore another area which I was really passionate about during my degree. I loved parasitology. However, when I enquired about roles in this field, most jobs needed at least 3 months experience working in a developing tropical country. 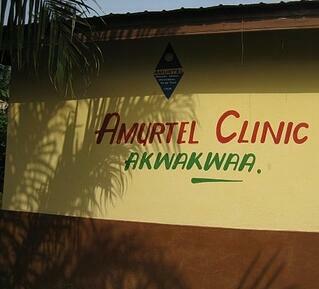 This is why I set up a placement working in a rural health clinic in Ghana. My role involved teaching the nursing students and community health workers some basic biology and first aid. This really allowed me to see the practicalities of working in the field with the most basic equipment and was a tremendously positive experience. I enjoyed helping people and learning to explain concepts in ways that people from another background or culture could understand. I did, however, find it very hard to speak with individuals who had very strong beliefs in traditional medicine, especially when I knew that there was a cheap and easy treatment for a disease that traditional medicine couldn’t fight effectively. I had to learn how to cope with a different climate and culture, and also needed to be resourceful and adapt. By the end of my three months, I fully understood why parasitology roles in the field require experience. On returning from Ghana at the beginning of 2010, I explored options for going into parasitology but another major factor held me back; I do not have a second language. During the recession there were many qualified scientists with experience and a second language in Spanish or French, and so they were ideal candidates for these positions. I had to reassess what I wanted to do and so I applied for a role in Industry. I wanted to get "a real job" and roles in Industry do tend to pay better. I worked in a Microbiology testing facility, where I tested materials for bacterial contamination. It was a really interesting job at first, everything was very new, and everything was more structured and controlled. I worked from Standard Operating Procedures (SOP’s) and every item I tested was constantly tracked with barcodes and spreadsheets. It was great to be in the lab doing experiments without the constant fear of failure because I knew the tests worked and would produce a reliable result. This is not to say the role was without issues. Because the primary purpose of the company was to fulfill contracts, my work sometimes felt rushed and the focus always seemed more on getting results than doing good science. Another problem was that the work became monotonous very quickly; as soon as I learned how to do the different tests and became efficient, I then started to become bored because I was not being mentally challenged. For these and other reasons, I started looking for other career options after 6 months. I decided to apply to study a Master of Science (MSc) in Human Molecular Genetics to give me an edge over other graduates during the recession. As each advertised job received many applications, employers were requesting that only scientists with an MSc or higher apply. It was important to weigh the cost to benefit of studying a Masters, because tuition fees had just gone up dramatically and, in England, you could not receive government loans to study a MSc, so I had to take out a personal bank loan. I saved money from my role in Industry and took evening work to help cover the costs. My MSc courses were interesting and luckily genetics is a sector which has been rapidly growing. These factors left me optimistic that I would find a genetics related role soon after finishing my MSc. The masters program was 6 months of classes and 6 months of hands-on lab work for a dissertation. I chose to carry out my dissertation research in a lab in California. I felt then, and still feel now, that it is important to take advantage of the fact that science is a global language that allows you to work anywhere and build a network around the world. The research project was hard; I was researching the epidemiology of breast cancer and I loved the practical aspects of testing samples in the lab, but I really struggled with the large scale data analysis, as this is increasingly reliant on programming skills which are not my strong point. On completing my MSc, I again had to look at what type of work I would like to do. I had taken advanced virology classes in California and enjoyed them, so I applied for a role at a commercial virology testing company. This particular company carries out clinical trials of drugs and treatments for external companies. It was really exciting to work in a larger commercial company; the pay was good and there was a variety of work. The work was very scheduled and it was really nice to have my day planned out. This allowed for a better work-life balance compared to working in research. My previous experience working in Industry was really valuable; I had received all the training and experience relating to good manufacturing practice (GMP) and good lab practice (GLP) (important buzzwords in industry) as well as skills in industry positions. There were, however, some downsides to working in a large commercial company. In my particular situation, communication between departments was sometimes difficult and the solution attempted was more meetings, but this simply seemed to create more bureaucracy. As with any large company (both for-profit and non-profit) you can also get a lot of office politics (many individuals trying to divert more resources towards their projects and away from other individuals projects, this can cause conflicts and favoritism, as well as affect morale and cause gossip). These kinds of problems can, of course, be solved with good management practices, but can sometimes go unnoticed at large organizations. Another downside to large commercial companies which are reliant on contracts with clients is that, when those contracts fall through or are cancelled, then redundancies can be made within the company; new staff hired in anticipation of the contract suddenly have less work to do than was anticipated and there can be a glut of individuals with similar skill sets. This is not to say that all commercial companies are like this, as most have a more stable funding situation and level of work than research or academia, and so most positions in industry are more stable than this. However, I would advise you to be wary of companies which are rapidly expanding, as this might not be sustainable. After working at this company for several years, I was ready for a change. I then travelled abroad to work at the University of Queensland in Australia, this was a perfect opportunity to work in a genetics lab. As a UK citizen, I was entitled to a Work-Travel VISA, which means I can gain employment for up to 6 months in Australia or another country of the Commonwealth. Another reason why I chose Australia was because it is an English speaking country with a strong economy and plenty of jobs in science at world renowned institutes. The lab at the University of Queensland required a scientist for a 6 month project to validate some genomic changes, so this arrangement was ideal for everyone. The cutting edge science in this lab was amazing. I loved working on developing an easy to use diagnostic tool for the detection and diagnosis of different types of pancreatic cancer and highlighting which treatment would produce the best outcome for a specific combination of genetic mutations. This is a particular challenge in pancreatic cancer where one drug does not work for all patients, leading to very high mortality. I really loved the fact that my work had a real impact people’s lives and would improve their treatment outcomes. I would say that the only downside of modern genetics from the perspective of somebody trying to get hands-on lab experience is that the technology is so advanced that most of the procedures in the lab are done with robots. Young scientists going into this field don’t really get to do a lot of lab work but instead really need to be comfortable with programming. On returning to the UK, I checked out the job postings from recruitment agencies and noticed a position available at a small science non-profit doing customer service (recruitment agencies often don’t tell you what company a job is with until just before the interview). This wasn’t exactly my idea of a dream job, but I knew that I enjoy helping people and decided to compromise and applied anyway. 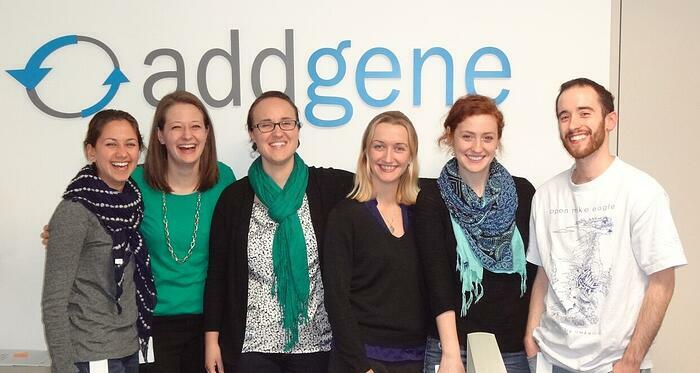 I later found out the job was with Addgene. I had used plasmids from this company before and recognised the logo, but didn’t know much else. During the interviews, I asked if I could contribute more towards the scientific aspects of the company as well and use my other skills and interests. I was so glad when my future supervisors were keen for me to become involved with many different aspects of the company and gave me the freedom to design new projects and grow in the role. I understand this is a fairly unique situation, because it is a small and dynamic company and so it has the flexibility of a ‘start-up’. I was surprised how well I fit in with the company and that my ideas and changes were welcomed, which is a benefit over larger companies which have more bureaucracy and cannot be as adaptive. I was also surprised to learn that I enjoy the customer service side of my job. Because of my background in genetics, I can help scientists problem solve experiments over the phone or explain how various plasmids work. Most people who call or email me are scientists who are grateful for some help. I also get the chance to contribute content to the Addgene’s Website and travel to meet scientists, making my job different every day. I love the freedom to design and develop my own projects, but working remotely (Addgene’s main offices are in Cambridge MA, while I’m based in London) does bring its own challenges. I’ve had to become skilled with technology like Skype in order to have meetings between teams. This communication is vital because otherwise I’d lose touch with my colleagues and have misunderstandings. Working long distance, you need to be very self-motivated, because you need to work independently most of the time and plan your own work schedule. I really love my highly varied role, it has allowed me to travel and to share my passion for science, but I also understand my job would not suit everyone. My career path may seem quite unusual but it has allowed me to try out working in many different sectors and to discover for myself what potential job opportunities are actually like day-to-day. It is all too easy to see ‘real’ science as wearing a lab coat and working at the bench, but the reality is a little different. Industry and academic jobs do exist, but working in industry just wasn't for me, and as has been highlighted recently it has become more difficult to attain a permanent position in academia. It is therefore important for young scientists and PhD students to also explore a range of alternative careers outside of acidemia to have the best chance of finding their perfect job.